Every fairy needs her mug, with a morning coffee or three the key to a successful start to each morning! 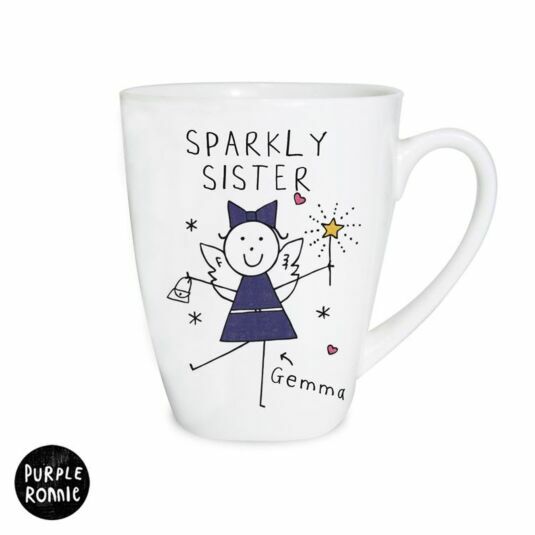 This personalised fairy mug would make the perfect kitchen accessory to show how sparkly and special you think someone in your life really is, styled with the cartoonist illustrations of Purple Ronnie for that added special touch! 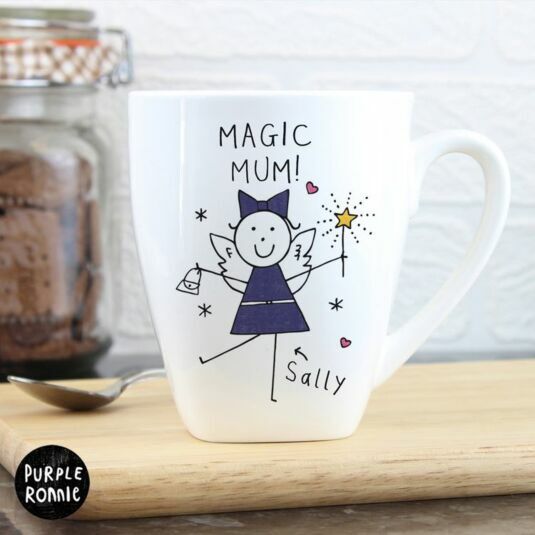 The mug features a comical stick figured fairy wearing a blue dress and holding a handbag and magic wand with a message personalisable above her head to say whatever you want it to with over 2 lines of 10 character text! You can also give the ‘Fairy’ a name of up to 10 characters, and write a touching message to her on the reverse of the mug over 4 lines of 20 character per line text! This mug would make the perfect gift for any girl or woman, specially packed with scrumptious toffees to enjoy with a nice cup of something warm! It is advisable to wash by hand to preserve the personalisation, and wash prior to first use. 1) A message contained above the illustration over 2 lines, with a character limit of 10 characters per line. 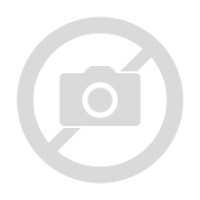 2) A name for the stick figure over 1 line, with a character limit of 10. 3) A message on the rear of the mug over 4 lines, with a character limit of 20 characters per line.